﻿ Catholic Legal Services, Inc.
who make our work with the immigrant community possible! The visceral images from the border, the disturbing audio bites of children screaming for their parents, compel us to respond to this humanitarian crisis. Some of these children have been transferred to facilities in South Florida. Please know that Catholic Legal Services is working closely with our partners at Americans for Immigrant Justice, the American Immigration Lawyers Association, others in the legal community, and immigrant advocates, to create an effective South Florida response to this crisis. But it is so important to also remember that DAILY in the immigration courts of Miami and the detention facilities of South Florida, parents of US citizens, sons and daughters, brothers and sisters, receive removal orders from Immigration judges and face imminent deportation. This situation worsens daily as the mechanisms of deportation ramp up. It will get even worse as the humanitarian protections of TPS and DACA expire. Help us respond to this humanitarian crisis in our midst. Help us keep South Florida’s families together and strong. Help us to endure that our neighbors receive fair and full due process, as our law requires. Copyright (c) 2018 Catholic Legal Services, Artchdiocese of Miami, Inc. All rights reserved. 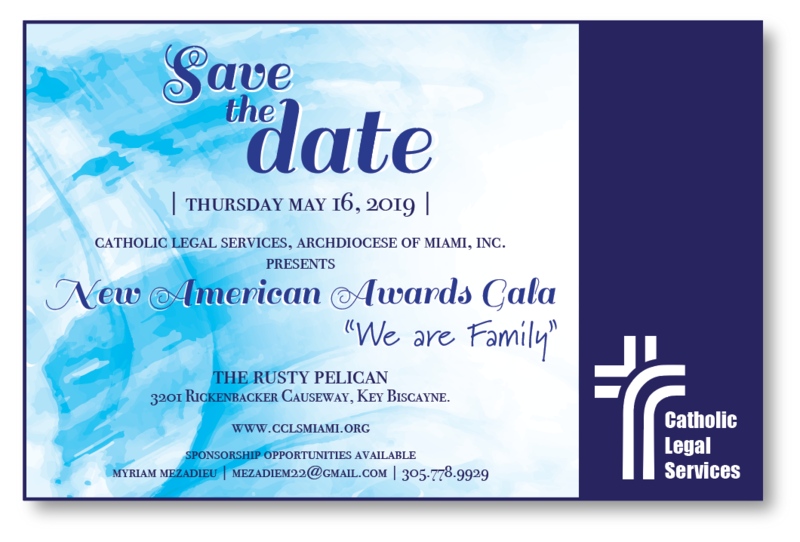 Catholic Legal Services, Archdiocese of Miami, Inc. (CLS) is a 501 (c)(3) organization established under the auspices of the Archdiocese of Miami. group, or other distinguishing characteristics.